I am glad to present you the Delivery Date add-on. 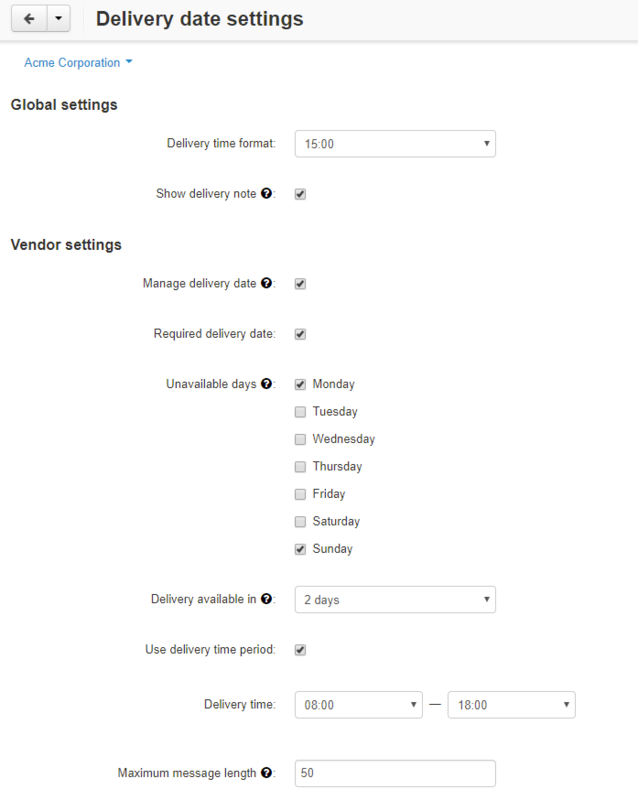 It allows your customers to specify preferable delivery date and time interval to receive orders. 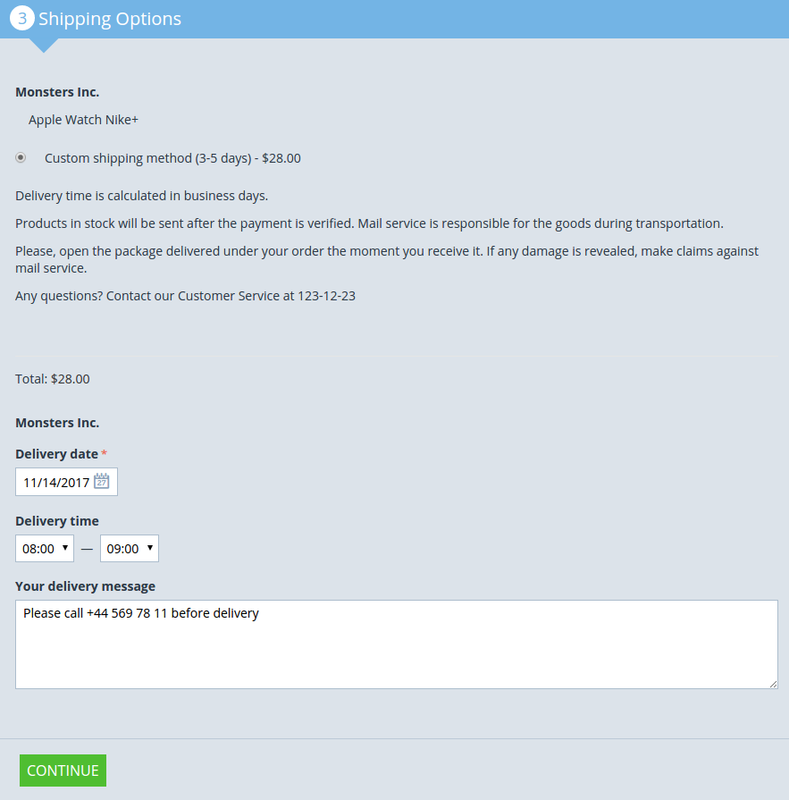 The Delivery Date add-on creates a date picker at the Shipping options step at checkout to let customers select a date and time when they’d like to receive the order. 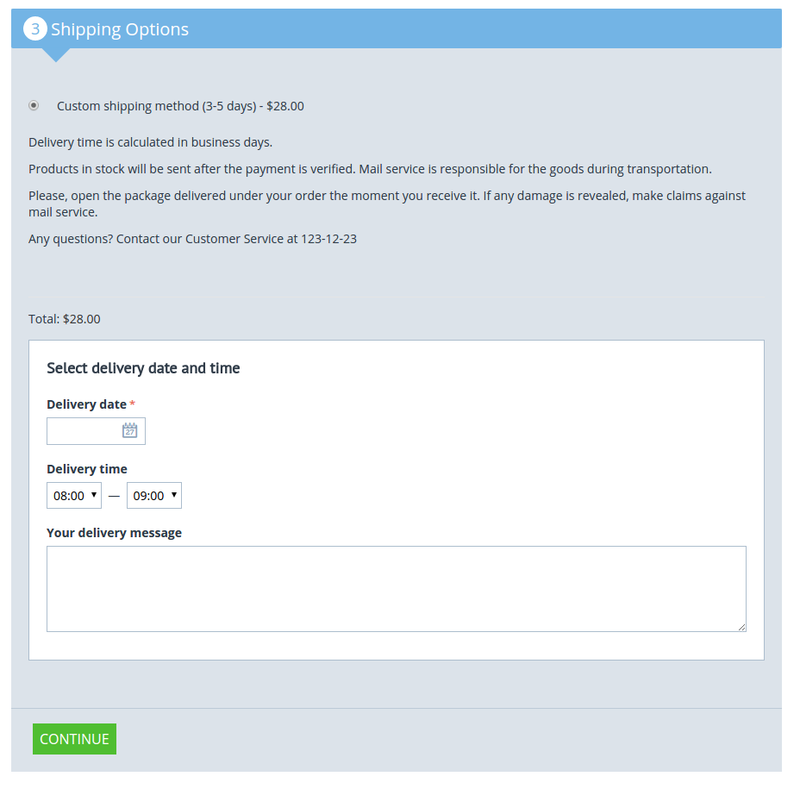 Customers prefer flexible and individual delivery options. If they don’t get it, they will probably leave your store. The obvious way out is to improve the delivery options to prevent their leaving. Ability to leave a comment is another cool option of the add-on. For example, a woman selects delivery during her baby’s daytime sleep and does not want a courier to ring the doorbell or knock but expect him calling first. She leaves a comment about it. - Ability to set maximum length for the comment. The add-on is compatible with CS-Cart and Multi-Vendor 4.4.1 and above. Need compatibility with another CS-Cart version? Contact us. Good addon BUT, does it have the ability to charge extra for earlier dates..i.e. express delivery etc. Great idea! We will add the possibility to specify extra charge for the particular amount of days. But if also you sell custom products AND none custom products, is it possible to assign the extra charges to "customised" products. £15.00 for 4 days etc. BUT, I also sell safety boots that ship as standard same day, so I dont want it to charge extra £25.00 charge for safety boots shipping. I hope that makes sense;. I think I have seen an addon that can apply shipping methods to certain products so maybe it could work with that addon...dunno. Thank you again for sharing it with us. Thank you for the tip. We will think what we can do with this. The block with the delivery date was made more noticeable on the checkout page.